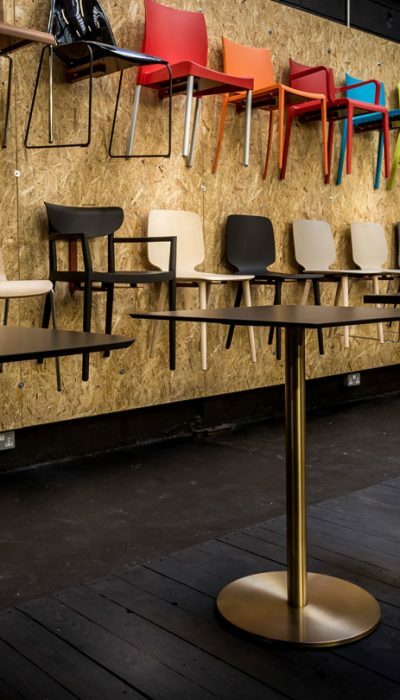 Working with a range of high-end European manufacturers allows us to present some of the best in contract furniture available, from iconic cafe chairs ranges to distinctive breakout furniture. 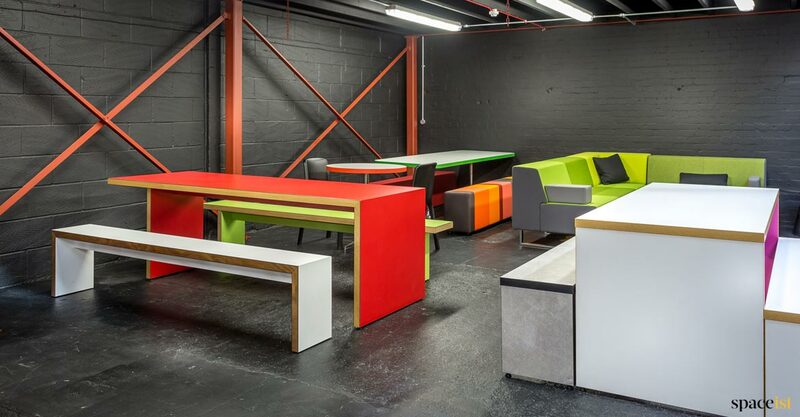 We are able to present a dynamic range of products that have become a key choice for modern contract interiors, from designers who have really set a standard in industrial design over the years. Here, we take a look at the designer studio behind two chair ranges, the Noa and Weet, spearheaded by Marc Saddler. 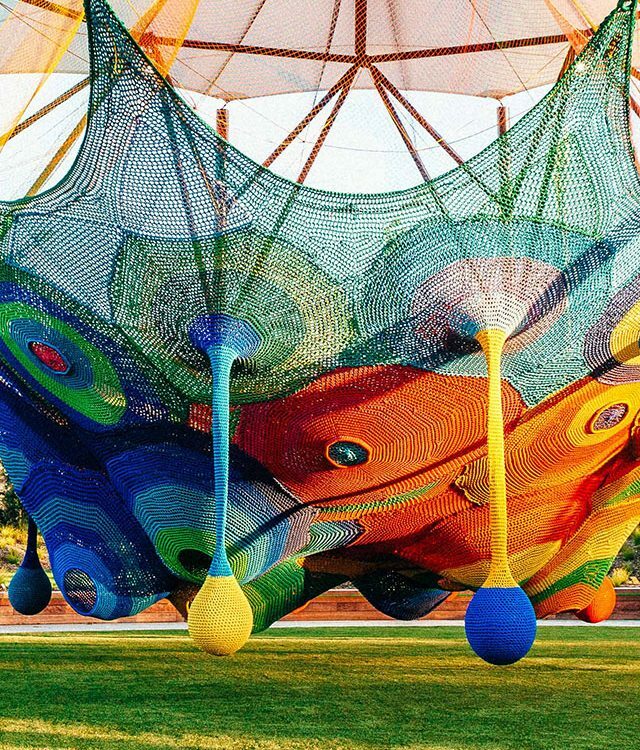 Austria-born, Saddler’s work has taken him from Europe to America, finally settling in the capital of design, Milan. 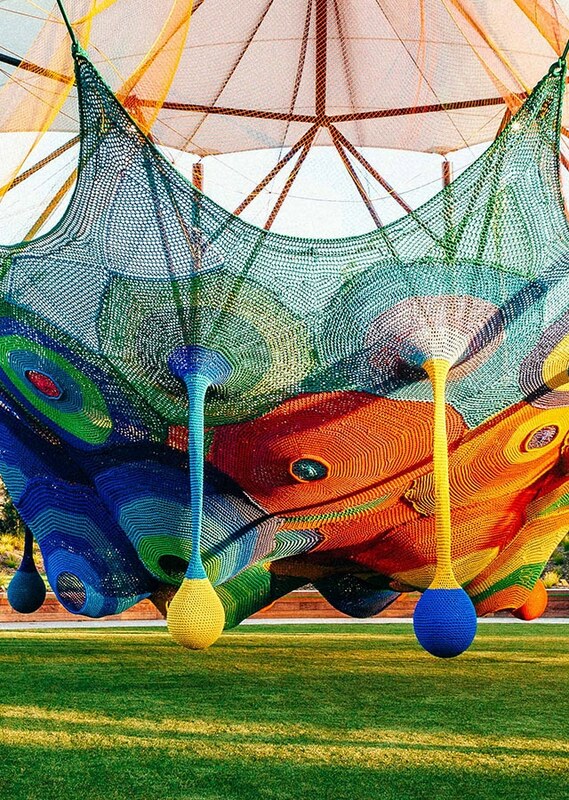 His longstanding portfolio of work stems from his initial studies into the use of plastic. From sports through to electronics, furniture, lighting and bathroom ranges, his products carry a distinctive characteristic mark of his approach to design. An interest he presented from an early stage in his career, the basis of Saddler’s designs surround the innovative production processes involved in manufacturing, working with materials in different ways. 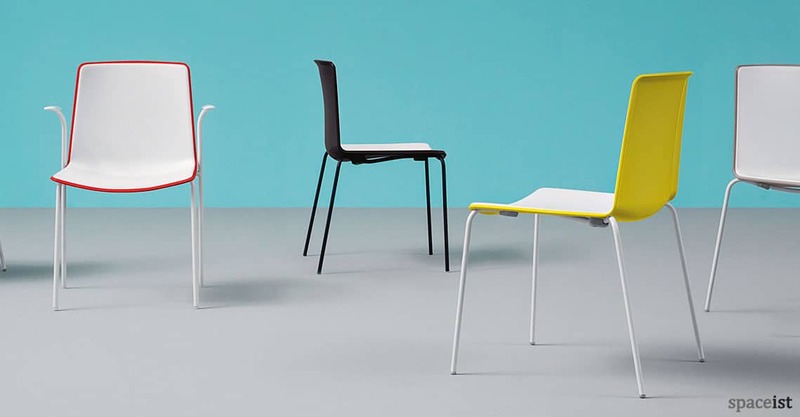 Two of the chair ranges by Saddler offered at Spaceist are the Weet and Noa; both highly durable and versatile in the offerings they present for contract interiors from educational use to hospitality. The high quality of manufacturing combined with a wide array of customisable options from colour choices to base styles, both the Noa and Weet are simply two of the stunning designs from the design studio of Marc Sadder. 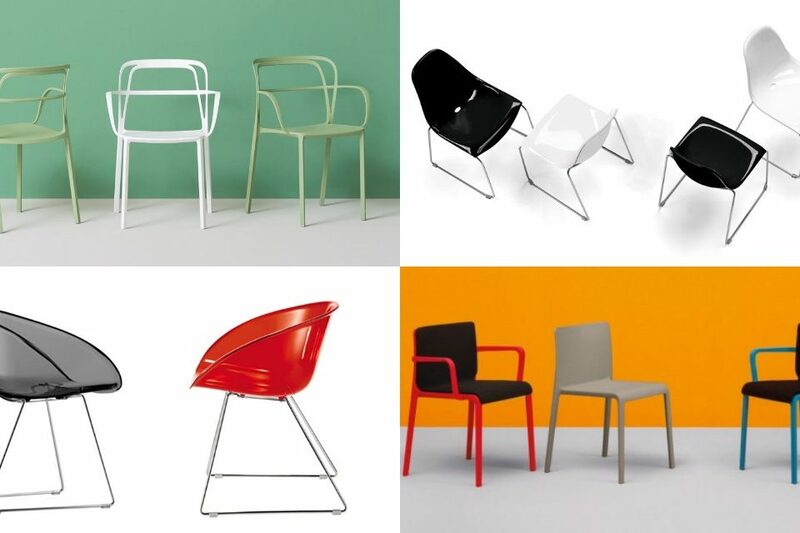 Manufactured through an innovative manufacture technique, the Noa chair range is a highly versatile option with a selection of variations making it a suited choice for application in a number of interiors. The clean and elegant form is down to the combination of the upholstered seat resting in perfect proportion with the poly-carbonate shell. This presents a crisp finish and smart appeal that is further heightened by the high-gloss finish on the outer shell of the chair. 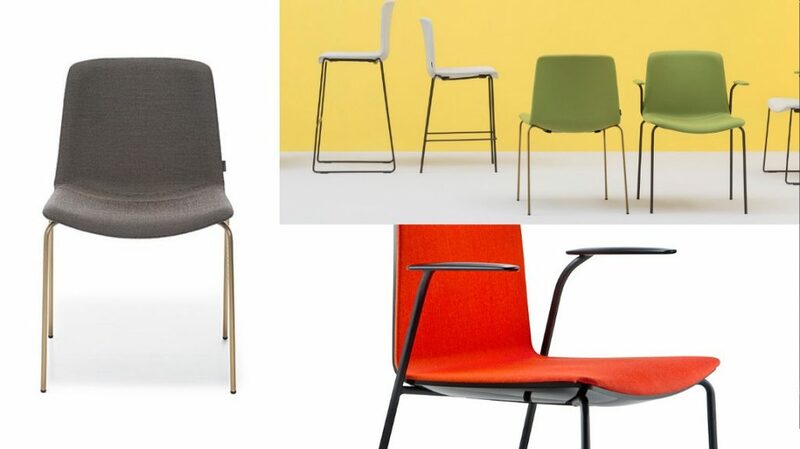 The seat comes in a variety of three upholstery options; fabric, leather or eco-leather and with a wide selection of contemporary colours including dark brown, lime green, white and more. Combine this with either a black or white outer shell finish to create a stylish and highly attractive solution for contract interiors. 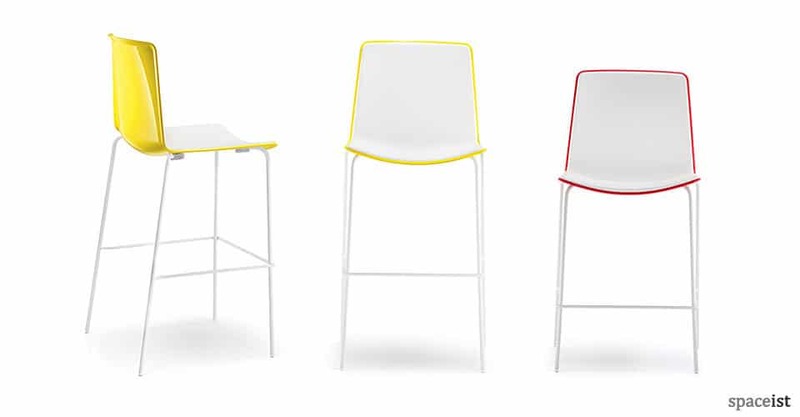 For cafés, conference seating, as additional seating in the workplace or educational environment, the Noa comes with four leg steel base with a chrome or powder coating finishing. This option can also be specified with the option of arms. A lightweight choice, this variation of the Noa is also stackable. 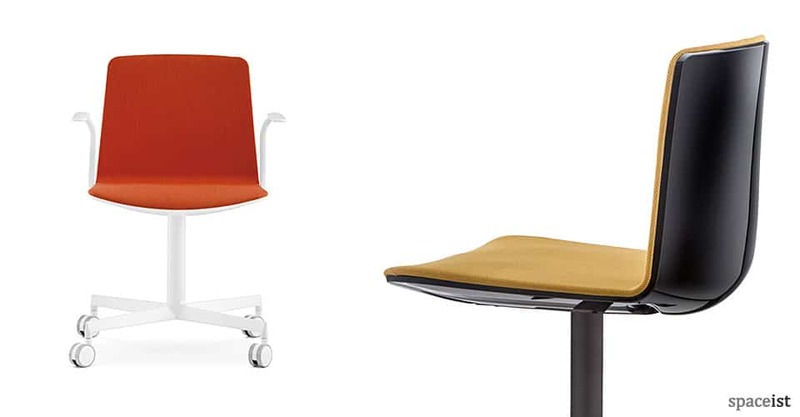 Another base option is the X-base with castors; an ideal office chair option that comes with the same wide selection of seat materials and colours, but with the added function, specifically for more demanding use. Akin to the sleek design of the Noa, the Weet chair range by Marc Saddler offers a greater extension on the various possibilities available, targeting key functional use. 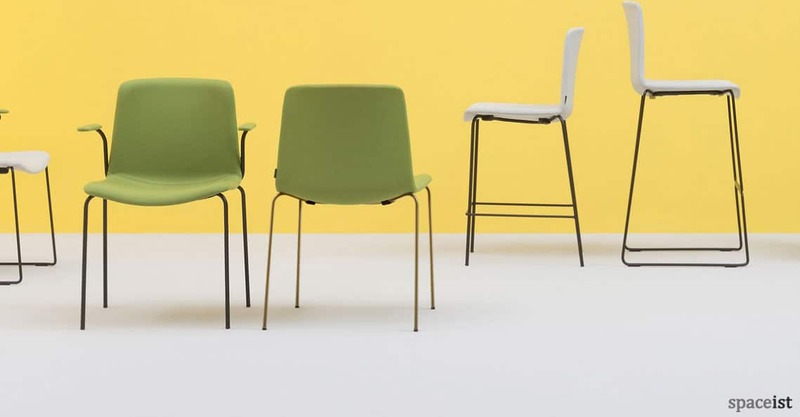 The range includes two seat styles, three base options and a bar height chair version, each with further colour and upholstery choices so the chair can be customised to aptly fit any style of interior. 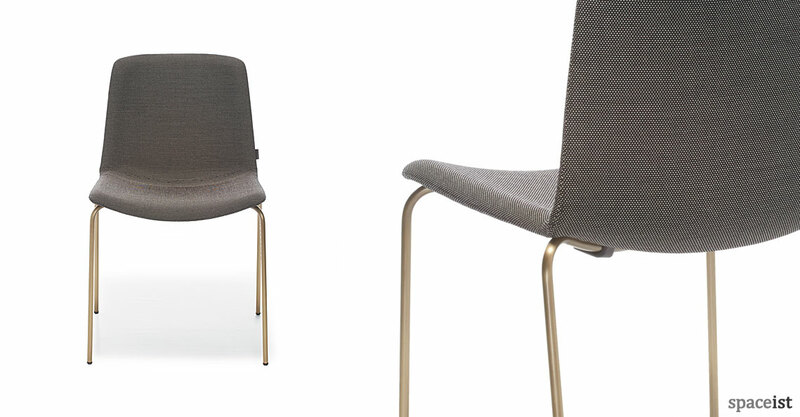 The Weet meeting room chair comes with a curved seat and backrest designed to enhance the comfort of the user. 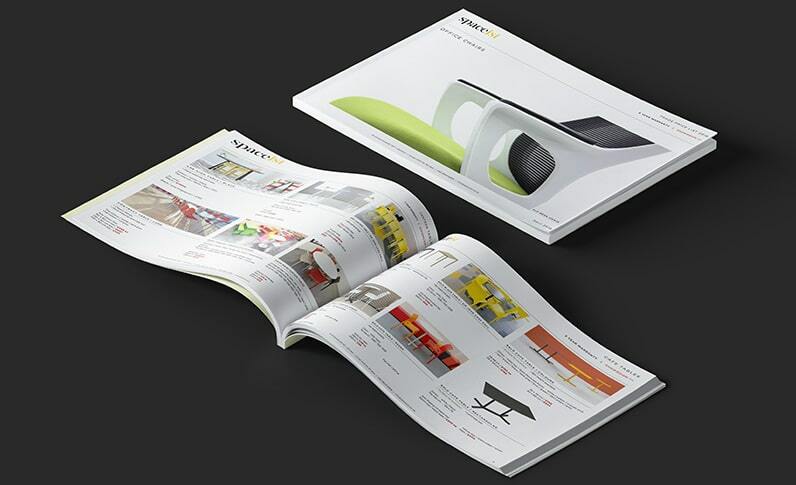 The first seat option is a bi-colour polypropylene shell with a scratch resistant surface seat and glossy back. 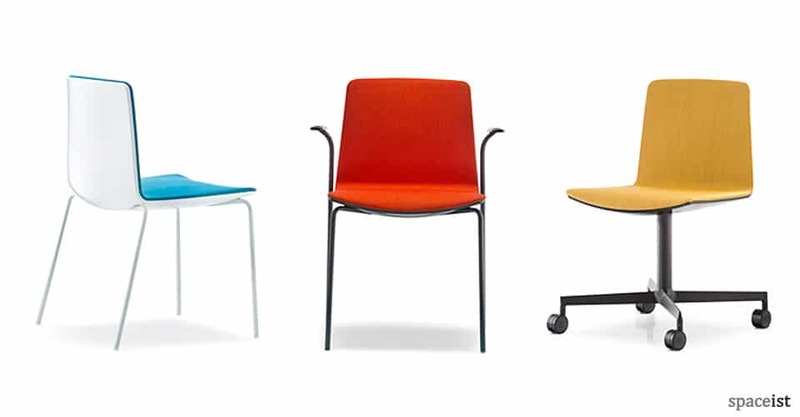 This modern meeting room chair can be customised in a choice of seat colours and base colours. 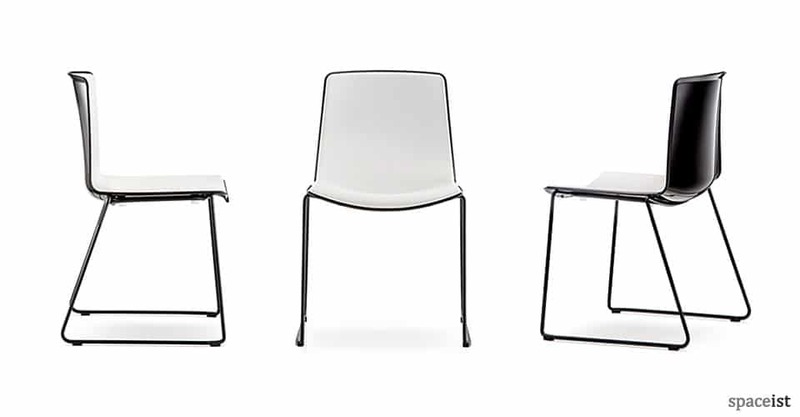 The glossy back comes in either black or white with the base available in black, white or chrome. 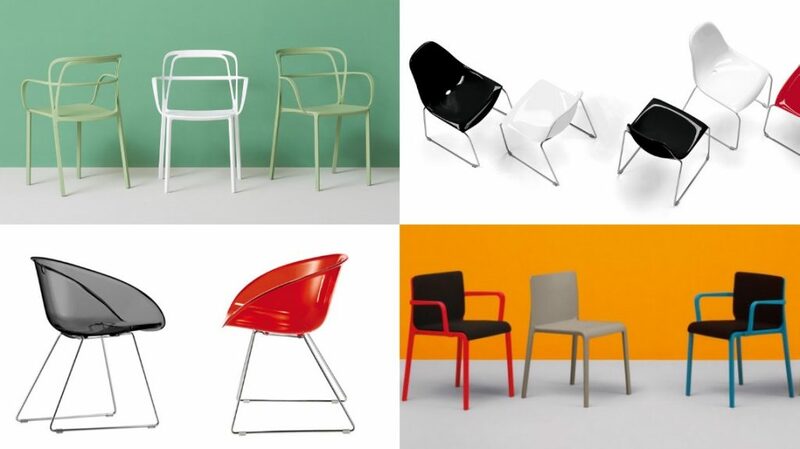 The glossy back is available in several colour options including black, red, beige, dark grey, yellow, lime green and orange. The second seat option introduces an elegant aesthetic appeal to the Weet chair with a soft-seat option that is available in a wide range of contract-grade fabrics with multiple colour options. Ideal for creating a softer and inviting seating configuration, the soft seat option comes with the same base options as the polypropylene seat. Choose a sled base option or a four legged base from a choice of either a white, black or chrome stackable frame it is possible to create an agile seating arrangement. For a sophisticated option, a star-base variant is also available and comes with or without castors, in a matching colour finish to the outer shell. To complete the range of base options, last but not least is a brass four leg base that is ideal for adding a touch of modern luxury in a restaurant, hotel or breakout setting. The third product in the Weet chair range is a bar stool with two height options; 65 cm or 75cm. 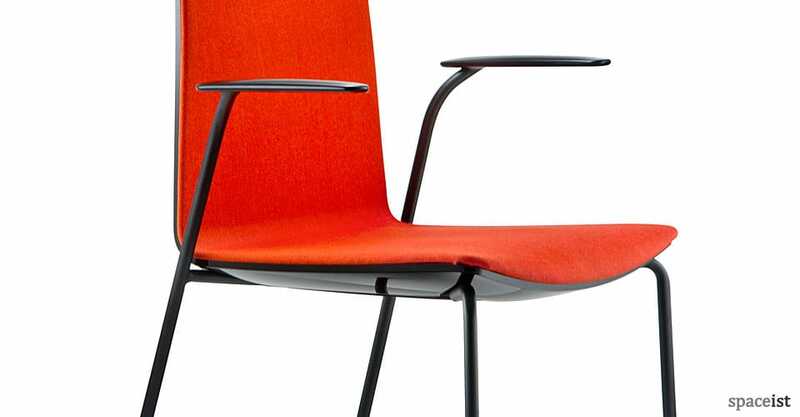 It comes with the same durable and high-quality polypropylene seat as the meeting chair, with scratch-resistant finishing and a selection of dual colour seat choices for the inner and outer shell.